Reward programs are great. A lot of stores have them. Ulta’s and Sephora’s are amazing. I love their programs. Everyone seems to have reward programs now and you have to wonder if they are even worth signing up. I’ll tell you right now that Ulta’s and Sephora’s reward programs are worth it. They are pretty awesome. Redeeming Points: Points buildup to be redeemed for certain dollar value that is good to use on anything in store. Expiring: Points expire 3 months after the day they are earned. Birthday Fun: Every year you get a birthday gift from Ulta. Like a travel sized eyeliner from Urban Decay or an Ulta eye shadow pallet. Do I need my card with me for in-store purchases? No. You just give the cashier the phone number or email on your account and they can use it up that way. When you sign up for the ULTAmate Rewards program you get exclusive email coupons and offers and you get a month Ulta sale catalogue. ULTAmate rewards is not a credit card. It’s is just a card offered from Ulta for you to earn rewards for shopping at their stores. The platinum status is very similar to the normal rewards. Points still have the same redeeming values but never expire and you earn 1.25 points for every $1 you spend, so you earn them faster. And you get a birthday gift and a $10 coupon during your birth month. How does your account go platinum? When you spend $400 at Ulta in a year (Jan. - Dec.) you earn platinum status. How long does my card stay a platinum card? You will keep platinum status for the remainder of the year and the following year. Example: If you earn platinum in August 2015 you will keep it until December 2016. Do I get a new card if I get platinum status? No you keep the card you get when you signed up in-store. Other Info: You must re-qualify for platinum every year. So if you earn platinum in 2015 you will have in for all of 2016 and to keep it for 2017 you have to spend the $400 in 2016. Redeeming Points: Sephora points are redeemable in groups of 100 and 500. You can redeem 100 points for a sample size product or 500 points for a gift set specially made by Sephora. Expiring: Sephora points do not expire. Birthday Fun: Sephora also gives birthday gifts. This year (2015) it’s two mini sized Nars lip pencils or a face skin care kit. No. You just give the cashier the email on your account and they can use it up that way. You can apply in-store at any register. Then complete your account information at home at Sephora.com or you can create an account online then go into the store and tell the cashier your email on your account and they will give you a card. When you sign up for the Sephora Beauty Insider program you get exclusive email coupons and offers. Sephora Beauty Insider is not a credit card. It’s is just a card offered from Sephora for you to earn rewards for shopping at their stores. 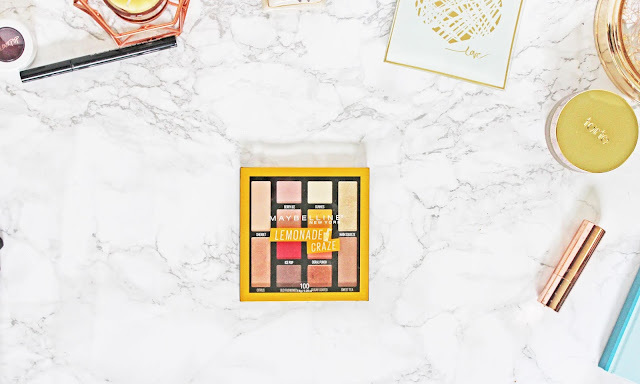 The Sephora Beauty Insider card works at Sephora stores and Sephora locations in JC Penny’s. The VIP Status is similar to the normal program. You have all the usual benefits and more. You get early access to sales, early release of new products, seasonal VIP-Only gifts, and private VIP shopping events. How does your account go VIP? When you spend $350 at Sephora in a year (Jan. - Dec.) you earn VIP Status. How long does my card stay a VIP card? You will keep VIP status for the remainder of the year and the following year. Example: If you earn VIP Status in August 2015 you will keep it until December 2016. Do I get a new card if I get VIP status? You must re-qualify for VIP Status every year. So if you earn VIP in 2015 you will have in for all of 2016 and to keep it for 2017 you have to spend the $350 in 2016. VIP Rouge Status is VIP and more. You get all of the original and the VIP benefits and free shipping on all orders (US and Canada), exclusive VIP Rouge products, an extra birthday gift, unlimited access to the Beauty Studio, exclusive VIP Rouge events, and even more special gifts. How does your account go VIP Rouge? When you spend $1000 at Sephora in a year (Jan. - Dec.) you earn VIP Rouge Status. How long does my card stay a VIP Rouge card? You will keep VIP Rouge status for the remainder of the year and the following year. Example: If you earn VIP Rouge Status in August 2015 you will keep it until December 2016. Do I get a new card if I get VIP Rouge status? You must re-qualify for VIP Rouge Status every year. So if you earn VIP Rouge in 2015 you will have in for all of 2016 and to keep it for 2017 you have to spend the $1000 in 2016. The Ulta and Sephora cards are sweet. I don’t think I’ll ever get a Sephora VIP Rouge, even though I am a makeup junkie. It’s a lot in one year. But I do think I could end up earning the Sephora VIP and the Ulta Platinum. I’m not sure if that’s a good thing. Haha. I really love these rewards programs and they are free. They are totally worth the sign up even if you only do it to get the free birthday gifts. I love these cards and would totally recommend signing up for them. They are great! Welcome to the comments! I love reading comments and replying to you all! I love chatting with you all! So please leave me a comment and let’s chat! Make sure you tick the box to get emails so you know when I reply! Hello There! 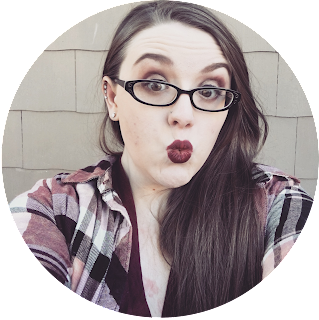 Welcome to ZombieGoddess Beauty where I write about everything I love. I'm just a Wiccan, Slytherin, Zombie Unicorn Mermaid & UK Girl at Heart writing a Beauty Geek & Life Blog who loves Art, Storytelling, Graphic Design, photography gaming, space, the moon, Lipstick, Coffee, Tea, Harry Potter, Doctor Who, The Joker, Starlord, and mythical creatures. HEY CHECK OUT THIS POST!